I never really had any favorite bands or musicians I was obsessed with growing up. Never had any band posters on my walls as a teen or went to any shows. So I feel like I kind of missed out on all of that. I got into Tegan and Sara a few years ago. The more I paid attention to them the more I started to like them. They’d do things like take letters at shows and personally sent postcards to fans that left them. I mean who else does that? I never thought I’d be able to interact with my favorite band. I had never been able to relate to their (or most) break up songs as I had been in a relationship for 10 years. Unfortunately, my relationship fell apart last October after four months of marriage. I guess the marriage was kind of what did it in. Suddenly, I REALLY needed Tegan and Sara and all those breakup songs. So I decided I was gonna leave my only piece of fan art for them at a show last October. 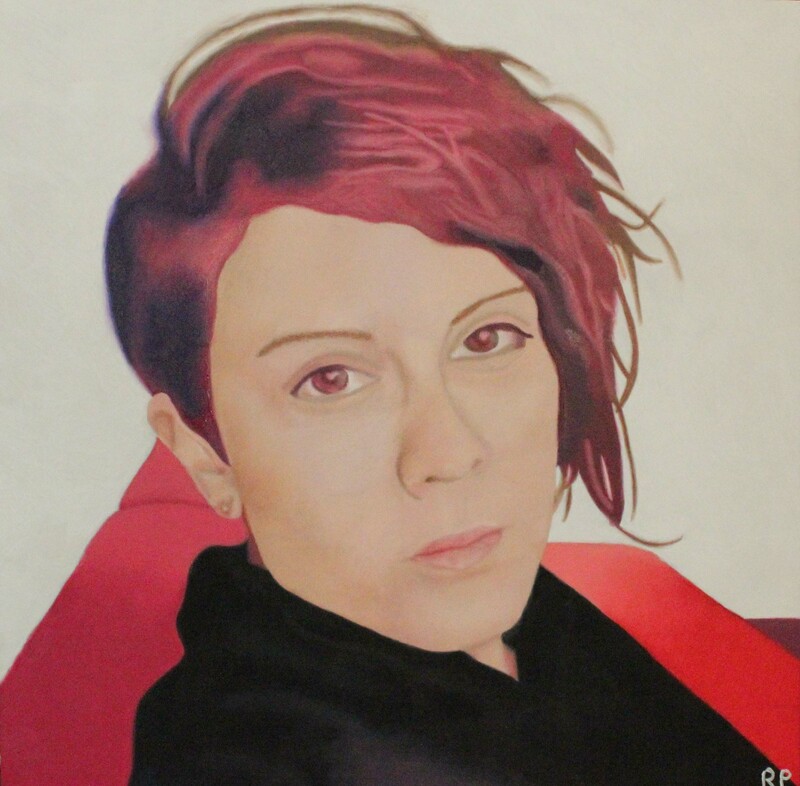 I left a portrait of Tegan and promised to do another one of Sara in the future. They sent the postcard back I taped to the back of the Tegan painting a few days later. Maybe it’s silly to care so much – I don’t know. But so what? It makes me feel better. And I’ve made friends in that fandom. Real friends I’ve hung out and gone to other shows with during a very lonely and confusing time. Talking to strangers on the internet is probably one of the best decisions I’ve ever made. Oh yeah, there’s a video of me talking more about this on Rolling Stone’s YouTube channel if anyone wants to see me cry. Ryan Pack is a painter who creates abstract and figurative works. She was born and raised in Tulsa, OK and she attended The University of Oklahoma where she received her BFA in Painting. In the fall of 2009 she moved to Enid, OK for a year to continue her painting education at Scribner’s Gallery and Studio. She is excited to be a part of the Oklahoma area art community where she now lives and works.